The top of Amazon search results pages is prime real estate. 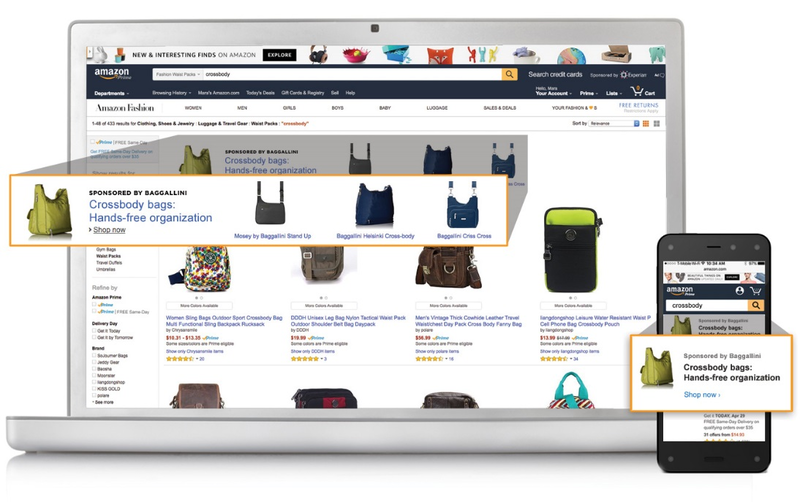 Amazon Advertising offers Sponsored Brands (formerly Headline Search Ads), which are banner ads that promote products right on top of search results. As one of the advertising solutions offered through Amazon, these ads can be a useful tool in your arsenal for driving sales and increasing brand awareness. Read on for 6 tips for getting the most out of your Sponsored Brands campaigns. When you enter keywords for your Sponsored Brands campaign, you’ll see a list of suggested keywords pop up. Next to each one is an indicator of how much traffic it gets (high, medium, or low) based on expected impression volume and the relevance of the ASINs in your campaign. 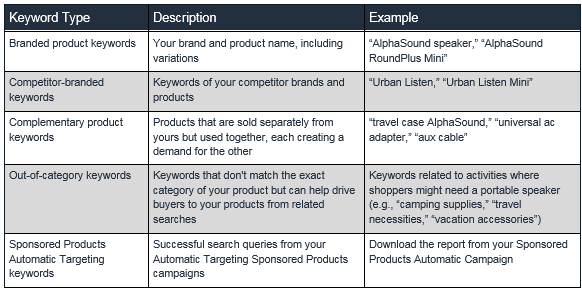 Sponsored ads (formerly Amazon Marketing Services) use an auction-based pricing model, so you must bid competitively if you want to win the high-traffic keywords. If your bid is too low, then someone else’s ad will appear instead. Increase your bid to help win more impressions. If your budget is limiting your bids, you might not be able to win impressions on very popular, high-traffic keywords. Low-traffic keywords won’t have as much competition for bids, making it easier to win the auction. Remember, you don’t necessarily need the highest amount of traffic to make a sale—just the right shoppers whose searches are a good match for your products. Run your campaigns continuously. Don’t just wait for holidays or seasonal shopping events like Valentine’s Day or Black Friday and Cyber Monday. Showcase your brand year-round to increase visibility and continually develop your audience. When a customer decides it’s time to buy, you want them to remember your name. The advertising console (formerly Amazon Marketing Services) automatically tracks your campaign metrics, including how many clicks your ads get, how much you’ve spent, and how much you’ve generated in sales. These metrics can give you valuable insights. For example, if your ad’s click-through rate is high but DPV is low, it means shoppers aren’t going past the landing page. 6. Test, test, and test! Given its prominent placement above search, investing time in testing your Sponsored Brands creative can have a high impact on your advertising success. Want to learn more? Visit our YouTube Channel and our Frequently Asked Questions section for more tips on how to optimize your campaigns. Ready to get started? sponsored ads are currently available to Amazon vendors, and you can get started here immediately. Not a vendor? Learn how to become one.